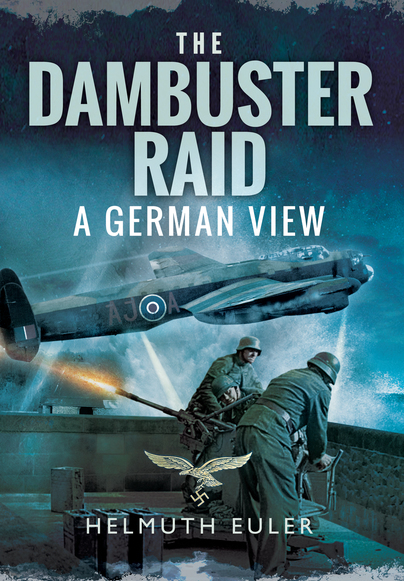 You'll be £25.00 closer to your next £10.00 credit when you purchase The Dambuster Raid: A German View. What's this? Operation Chastise, the audacious RAF bombing raid that struck at the heart of industrial Germany on the 17th May 1943, brought catastrophic damage to the three dams that served the Ruhr Valley. Water and electricity supplies were disrupted in a key area of the manufacture of Germany's war munitions, and the consequences were disastrous. The German war effort was set back substantially, the Allies celebrated, and Dr. Barnes Wallis became a national hero as the designer of the famed 'bouncing bomb' that inflicted such damage. Considered from an Allied perspective, the Dambuster Raid was a triumphant success, not only of British engineering but also of pilot endeavour. View it from the German perspective however, and an entirely new story emerges. That is precisely what we have here. In this image-heavy publication, Helmuth Euler explores all facets of the operation in fascinating detail, offering a host of illuminating insights into this much-studied event of twentieth century history. ...very readable book with a lot of details for the amateurs. To close off, it is rather fun to know that the ‘inventor’ of the bomb also designed Great Britain’s best airplane the R100 and Guy Gibson was operated on a boil. The writer (with more than 10 books on his name) has done a lot of research. This book includes a large number of photographs of the raid's immediate aftermath, followed by the clearing up operations. A very interesting book.